For a pro golfer, getting an accurate yardage to the green is easy. They turn to their caddie, ask for the number, and get it in return. 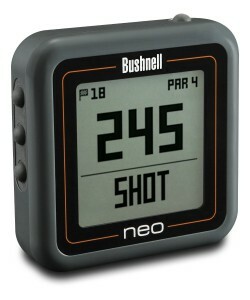 Of course, you don’t have that luxury as an average amateur player, but you can have the next best thing when you employ the use of a device like the Bushnell Neo Ghost Golf GPS. 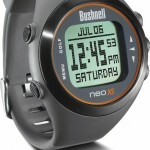 This small device is affordable, extremely simple, and provides you with the information you need with just a glance. If you have been weighing the pros and cons of various distance measuring devices, you might be a little confused as to what you actually need and what is just an extra feature designed to get you to spend more money. With the Neo Ghost Golf GPS, you can be confident that you will not be paying for any bells and whistles that drive up the price. This is a simple product which does its just effectively without requiring you to break your budget. This device is frequently available for well under $100, which means you stand to save significantly as compared to buying a distance measuring device with more features. Even if you don’t think of yourself as a very good golfer, you should still be interested in getting three specific numbers on each approach shot. Those numbers are the distances that you have left to the front, middle, and back of the green. The front is important because it tells you the minimum distance you need to hit the shot in order to set up a putt. The middle is often used because it puts you safely away from the edges, and the back yardage is important to make sure you don’t send the ball clear over the green. Once you have all three of these numbers in mind, you can then make a smart club selection for your shot. To make sure you have all of the info you need, the Bushnell Neo Ghost Golf GPS gives you all three of these numbers in just a fraction of a second. In one display, the Neo Ghost will show you the middle number in the center of the screen, with the front and back numbers smaller on the bottom of the display. This is information that you couldn’t get from a laser rangefinder, as you would only really be able to measure the flag itself with a laser (and perhaps the front of a bunker). There are pros and cons to both lasers and GPS units, but having front, middle, and back distances is definitely a positive for the GPS option. One of the complaints that many golfers used to have against earlier GPS units was the amount of work that was required to use them properly. For example, courses would have to be manually loaded to the device one at a time, meaning there was an amount of time that had to be spend just getting the unit ready for play. Of course, that was a major downside, and it was a big plus for the pro-rangefinder argument. However, this problem has been alleviated in recent years, as can be seen in the way the Bushnell Neo Ghost Golf GPS functions. You don’t really have to do anything to get the Neo Ghost ready for your next round. It comes preloaded with more than 30,000 courses, meaning it is almost certain that you own favorite courses are included right out of the box. So, there is nothing to download, and there are no membership fees to pay either. Just make sure it is charged before your round, turn it on, and you are ready to go! Once you are on the course, the simplicity continues throughout your round. Instead of asking you to select the hole that you are playing, the device will automatically detect where you are on the course so it can display measurement for the right hole without any help from you. In addition to the three yardages highlighted above, the Neo Ghost will also show you up to four hazard distances per hole so you can hopefully keep your ball out of trouble. If you don’t want to carry around a large rangefinder while you play, the Neo Ghost GPS is a unit that you should carefully consider. This is a small device that can easily be slipped into your pocket while you are hitting your shots. Or, of course, you can keep it in your golf cart and just give it a quick glance before you pick a club and get down to the business of making a swing. Some of the laser rangefinders and GPS units on the market today are unnecessarily large, but this is not a product that falls into that category. It is true that the Bushnell Neo Ghost Golf GPS is a quality product that can supply you with the information you need while on the course. 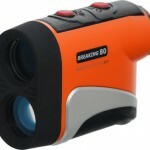 However, it is also true that there are a number of other great distance measuring products available. So, how do you pick? In the end, it comes down to functions and your own personal tastes. Are you someone who likes to have all of the bells and whistles in your gadgets, or do you like to keep it simple? This is definitely a product that lands squarely in the ‘keep it simple’ category. There aren’t really any extra features, and that is a good thing in the eyes of many. Only you can pick out the device that is going to work best for your needs/preferences/budget, but it is safe to say that this product is one that warrants your consideration. It is a simple and reliable device that will give you the numbers you need from the first hole to the last. With plenty of great reviews and the Bushnell name to its advantage, you will likely be thrilled with the performance you receive if you do choose to go in this direction.